World-famous kidnappers, shot outside a Shore Road mansion. A local barfly, burned alive in her Ridge Boulevard apartment. A third-grader at St. Anselm's, plucked off Third Avenue. 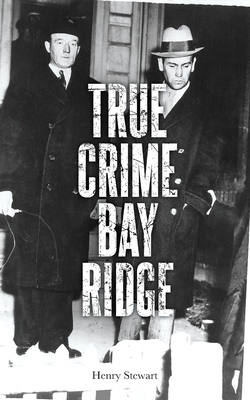 These are just a few of the true tales of murder, kidnapping and gunplay featured in this collection, culled from the blog Hey Ridge, each set on the streets and in the homes of Bay Ridge, Brooklyn. Did the Mafia dump bodies on Oliver Street? Was a would-be serial killer bludgeoning his victims near Flagg Court? Using contemporary newspaper accounts, as well as trial transcripts and out-of-print books, local historian Henry Stewart assembles vivid accounts of the crimes, the victims, the perpetrators and the neighborhood, revealing that this sleepy, suburban community has always had a darker side-which many residents would sooner forget. Henry Stewart is a journalist. He lives in Bay Ridge, where he has always lived, with his wife.